And as the Me Generation grew up, their penchant for things their way has made brands like Chipotle, Subway, Pandora, Zazzle and others thrive – all based on the principle of customization. The idea of Mass Customization is not new, but the accessibility of customized products and services has never been as real as it is today. And this is why I was so interested in the review copy of Custom Nation: Why Customization is the Future of Business and How to Profit From It by Anthony Flynn (@YouBars) and Emily Flynn Vencat. Before I get into the book, I’d like to tell you a little bit about the authors. I think it will give you some insight about the book and the customization trend. Anthony Flynn is actually the Founder of YouBar®, a customized protein bar company that he started with his mom, Ava Bise in 2006. They started making protein bars that were customized to their personal taste, health and energy needs. They thought there might be a market for it and there was – a multimillion dollar market. You might be asking yourself what makes Anthony Flynn qualified to write a book on mass customization? OK, so the guy founded a customized nutrition bar company – so what? Well, it turns out that Anthony was a business student and an entrepreneur. So he not only had an interest in the product, he had some training and education in business enough to write, what I think, is a really engaging and educational book for small business. He’s helped in this task by his co-author, Emily Flynn Vencat. Emily is a professional journalist who has written for some of the biggest news organizations in the country; notably Newsweek and USA Today. Is Customization an Option for Your Small Business? If you’re like me, you’re probably asking yourself the question – is customization a possibility for my small business? If so, you’ll want to read this book because it’s a very thorough and accessible analysis of the history of customization and an explanation of the critical components that can make or break your customization efforts. 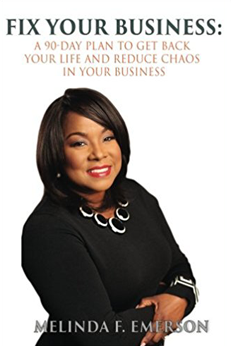 If you never thought of using customization as a strategy to grow your business – you will also want to pick up this book because it will give you so many ideas that your head will swim with the possibilities. A core concept of this book is something that I am very passionate about; the idea of the CIY Business. CIY stands for “Create it Yourself.” In other words, it’s the democratization of products that make customization accessible to all people instead of just the wealthy. The first informs and educates you on the history of customization and takes you into what todays consumers want and why they want it that way. The second section is titled “Become the Next Great Customizer.” This section guides you through the process of either creating a CIY business from scratch as well as giving you ideas on how you can incorporate a Create-it-Yourself component to your existing business. Throughout the book there are case studies and stories of companies that specialize in customizing their products that you will find not only informative, but inspiring. One added feature of the book that caught my eye was the Appendix in the very back that contains a long and very complete list of companies from whom you can buy a variety of customizable products. If nothing else, you’ll notice that there are quite a few of them – 783 to be exact. And that should tell you that this trend isn’t going away. Why Bother With Another Trend That’s Going to Complicate My Business? You might be thinking that this customization thing is just one more complication to your business and your life. And it might be. But I’m encouraging you to read about it because small business owners, marketers as well as brand managers in a variety of industries can reinvigorate their business and increase profitability – not to mention stand out from the competition. 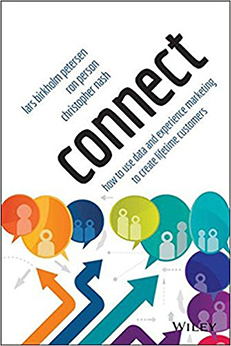 If you get anything from this book, understand that customization is not just exclusive to high-end niches anymore – it’s the future of business. I read this book a few months ago and thought it was really helpful. It made me consider some areas of my small businesses that I might not have thought lent themselves to customization, but ended up making total sense. Recommended reading for any entrepreneur who wants to stand out from the mass-produced crowd. Why does customization have an edge in business? The answer is simple. It is because more and more people are now looking for personalized solutions in just about anything. They don’t want businesses that mass-sell. They want high quality products or services and are willing to pay more just to get it. I have also read the book ‘Custom Nation’ and must admit that the book is a complete practical guide, written by a person who has made his business on the strength of customization. The book also highlights on proper incorporation of customization into on hand framework to benefit from it. A must read book for all small business owners.